Her poems have appeared in a number of prominent journals including Borderlands: Texas Poetry Review, Crab Orchard Review, Descant, Many Mountains Moving, and Weber Studies. Her creative work has been recognized within the Asian American and feminist communities through journals and anthologies such as Contours of the Heart: South Asians Map North America (winner of a 1997 American Book Award), Meridians: feminism, race, transnationalism, and NuyorAsian. She served as a poetry editor for the Asian Pacific American Journal for six years. During her undergraduate studies, she won the University of Michigan’s Virginia Voss Poetry Writing Award. 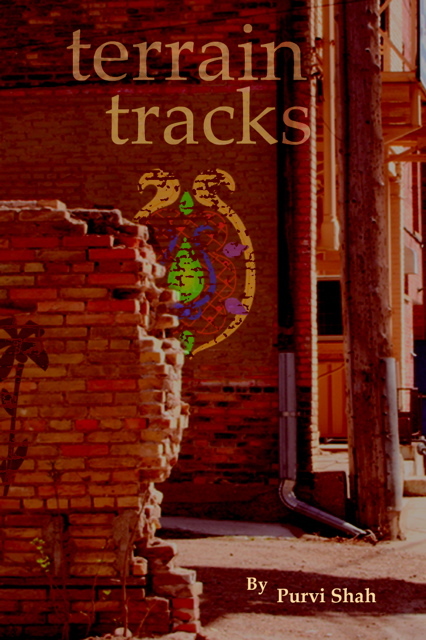 Purvi’s first collection of poetry, Terrain Tracks (New Rivers Press 2006), won the 2005 Many Voices Project prize. Drawing upon her experiences as an immigrant woman born in India and having grown up in the United States, these lyrical poems thread travel and emotion, charting out observations on migration and belonging. The poems feature trains, travel, and movement as central motifs – how the body in motion reflects change in self, culture, and knowledge. The pieces explore how movement is both potential and loss. Travel, and the physicality of different cities, is often related to growth and exploration, the adventure of the new. But a central current of these poems is longing — the residue of belonging to different terrains. These poems seek to go beyond being mirrors of immigrant experience but rather serve as prisms, repositories that from different perspectives and angles, from different throws of light, enable divergent patterns on family, love, longing, and belonging to emerge.